Brenda Swartz is the visionary leader of Concordia Place, a vibrant, nonprofit that provides proactive solutions to key social needs. During her tenure, Concordia has grown from a single child care center serving 80 children to a multi-service, multi-site organization impacting the many lives of Chicago’s north and northwest side children, teens, adults, and seniors. Prior to Concordia Place, Brenda thrived in the technology field, producing results in senior roles with Accenture, Unisys, and TenFold over 17 years. Making a significant career change, Brenda joined Concordia Place as the President/CEO in 2003. Under her direction, Concordia realized its vision of opening a new center in a high-need community. Starting with just $42,000 in net assets, Concordia collaborated with community leaders and elected officials, acquiring a vacant property and raising the $10 million necessary for major renovations and program development. 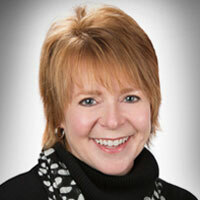 Brenda holds a Bachelors in Business Administrations from Iowa State University. She was presented with the 2010 Lakeside Bank’s Women Who Make a Difference award for her commitment and service to the community. Her robust performance was publicly recognized when Concordia Place was named the 2013 Alford-Axelson Award for Managerial Excellence in Nonprofits from North Park University. In 2014 Brenda was invited to serve on the Axelson Center Advisory Board. Brenda was also a 2014 finalist for the Chicago Community Trust’s Experienced Leader Fellowship. Brenda is a mother of two and resides with her husband David in the Logan Square neighborhood of Chicago. The Rev. 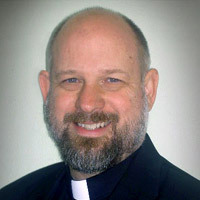 Nicholas J. Zook has served as pastor of Concordia Lutheran Church in Chicago since his ordination in 1981. Under his leadership, Concordia Lutheran Church established a community outreach ministry in 1981 to serve the needs of single parents and low income families in the neighborhood around the church. From this ministry, Concordia Place was established. As Board Chair, Nicholas has grown Concordia Place to a multi-service, multi-site nonprofit with locations in the North Center and Avondale communities. Concordia Place serves nearly 1,000 children, teens, adults, and seniors each year. Nicholas served as a founding member of the Lutheran/Roman Catholic Covenant Commission established by the Metropolitan Chicago Synod and Archdiocese of Chicago to promote collaborative ministry and dialogue among Lutherans and Roman Catholics in metro Chicago. In 1995, Nicholas joined with a group of Lutheran pastors and laity to establish Let’s Talk, a journal published in the Metropolitan Chicago Synod to encourage theological discourse on issues vital to the life of the church. He has served as a Board member and contributor on the Editorial Board until 2014. Nicholas graduated from DePaul University with a double major in philosophy and psychology and received his M.Div. degree from the Lutheran Theological Seminary at Gettysburg in 1981. Nicholas also serves as co-dean of the Northeast conference of the Metropolitan Chicago Synod and on the Governing Council of Advocate Illinois Masonic Medical Center. In 2011, he was awarded the Wheat Ridge Foundation’s Seeds of Hope Award for service in health, hope and healing ministry in the community. He most recently received the 2016 Service in Parish Ministry Alumni Award from Lutheran Theological Seminary at Gettysburg. Nicholas, and his wife, Stephanie, have two grown sons and reside in Chicago.